Farming and agricultural businesses are under increasing pressure to cut costs and increase efficiency. As one of the top three most dangerous industries in New Zealand, protecting worker safety is paramount, which is reflected in heightened OH&S requirements. Workers deal with bad weather, dangerous machinery or vehicles, unpredictable animals and hostile landscapes – so you want to remain in constant contact with that worker in case the worst happens. Two-way radio communications systems are widely used in the farming and related industries, as they meet many of the challenges of this industry. Our customers include Mundtville Farm, who presented a real-life example of how two-way radios helped an injured farm worker. Make sure you listen to our regular spot on the popular Canterbury-based “On The Land” show! From the delivery driver crisscrossing the city to the sanitation crew clearing streets, your employees work smarter and safer with the MOTOTRBO DM4400e mobile two-way radio. 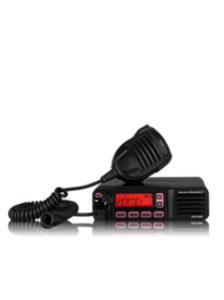 This fully-featured mobile transforms your enterprise, delivering unrivalled voice and data communications. You also get best-in-class audio that includes Intelligent Audio and customisable voice announcement feature. Incredibly compact and exceptionally rugged, the MOTOTRBO DP3441e portable two-way digital radio is the perfect solution for the professional on the move. 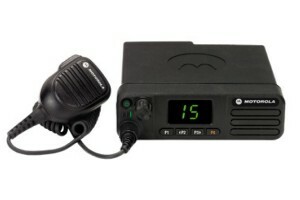 This small, but powerful radio keeps you in touch with your workforce without weighing you down. It’s loaded with all the benefits of the latest digital technology – superb audio quality, amazing clarity, outstanding coverage, long-lasting battery life and more. 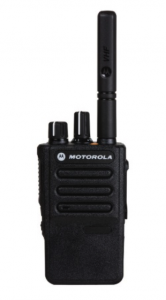 As part of Motorola’s MOTOTRBO family, the DP3441e offers the best in digital radio technology. Empowering your workers with integrated voice and data, the DP3441e allows them to share information wirelessly and instantly between devices. Integrated GPS enables location tracking of mobile work teams, helping improve personnel safety and operational efficiency. And this radio is not afraid of dust, dirt or water—it stands up to the harshest and most inhospitable conditions with exceptional durability. Wherever you’re on the move, the slim, powerful and reliable DP3441e can always be right by your side. 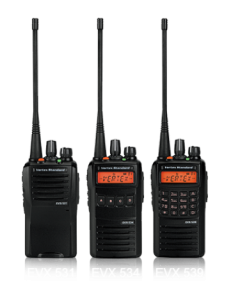 You can afford to enhance your communications with the digital performance of eVerge two-way radios. eVerge radios are compact and precision-engineered to deliver value without sacrificing quality — giving you more capabilities and the flexibility you need to communicate at your best.